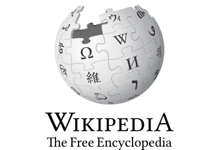 Wikipedia is a free, collaborative, multilingual Internet encyclopedia supported by the non-profit Wikimedia Foundation. Its 20 million articles (over 3.8 million in English alone) have been written collaboratively by volunteers around the world. Almost all of its articles can be edited by anyone with access to the site, and it has about 100,000 regularly active contributors.